“Aryan” patches worn by bell-ringing volunteers in Valparaiso do not match Salvation Army values, officials from the charity said. Images of bell ringers sporting patches on leather jackets outside the Valparaiso Walmart went viral on social media. Members of a local Hells Angels mc violated the charitable organization's dress code and would not be allowed to do bell ringing in the future. 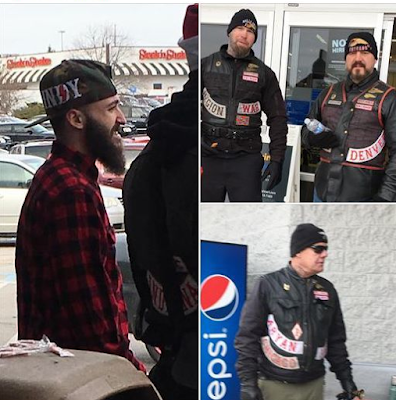 Images shared on Facebook show men with leather jackets, one with a patch reading "Aryan" and another with a Confederate flag patch ringing the bell Friday for the Salvation Army. 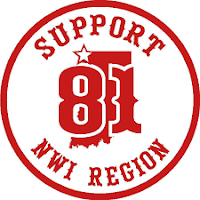 The bell ringers in question were confirmed to be members of the Hells Angels Northwest Indiana Region Motorcycle Club. The bikers confirmed that the Salvation Army had canceled another bell-ringing event the club had scheduled.